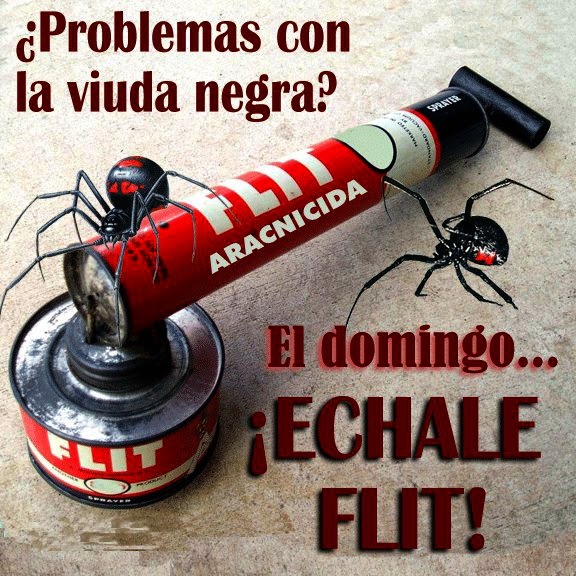 Most might not know what Flit is or was. 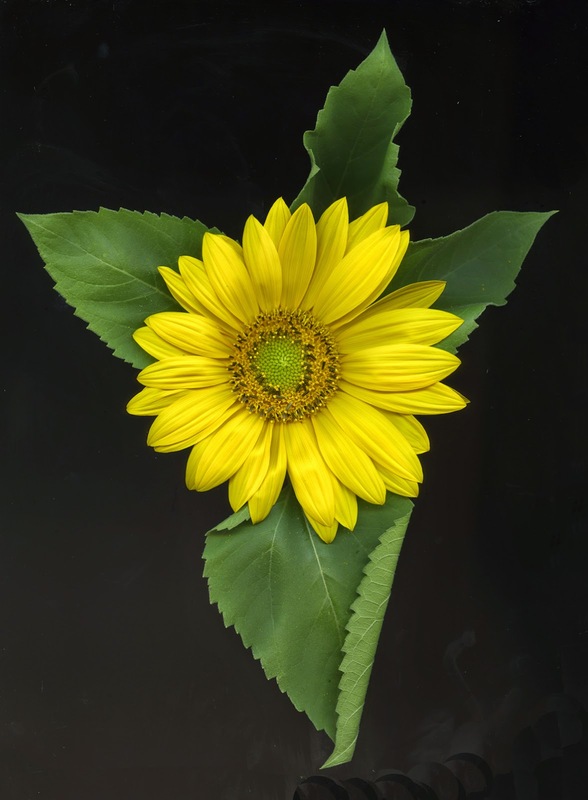 Few that do might suspect a connection with Helianthus annuus and Buddha. But there is a connection of which I will happily expand upon here via boyhood slingshots. In the late 40s and early 50s the miracle insecticide was dichlorodiphenyltrichloroethane or DDT. 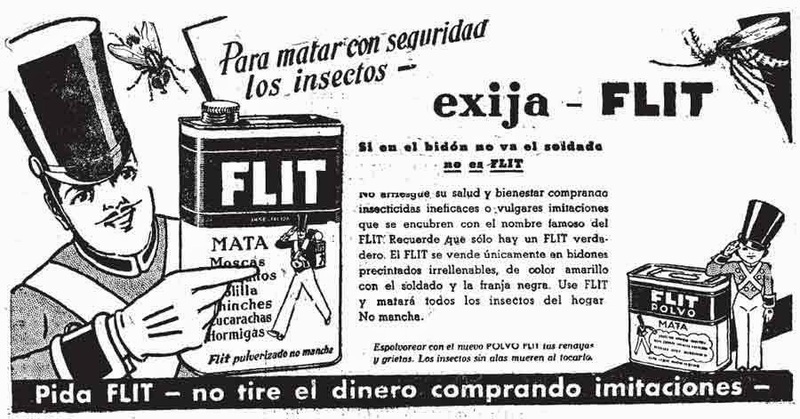 In my boyhood Buenos Aires we called it by the brand name Flit and it came in a can with a plunger that we simply called “el Flit”. We happily sprayed it on anything without any compunction. But we were well aware that it was some sort of health hazard. Because Buenos Aires is by the Paraná River Delta and by the Río de La Plata we had monstrous mosquito populations in our humid summers. 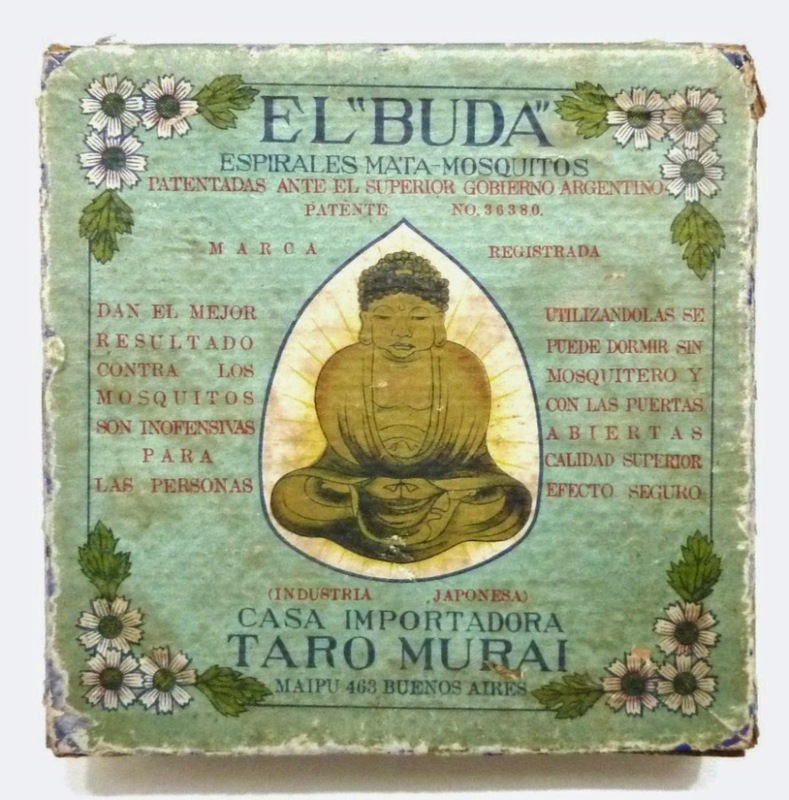 The only way to fight off the plague (mosquito screens were not available at the time) was with netting or, better still with a Buda (Argentine brand name spelling) spiral. 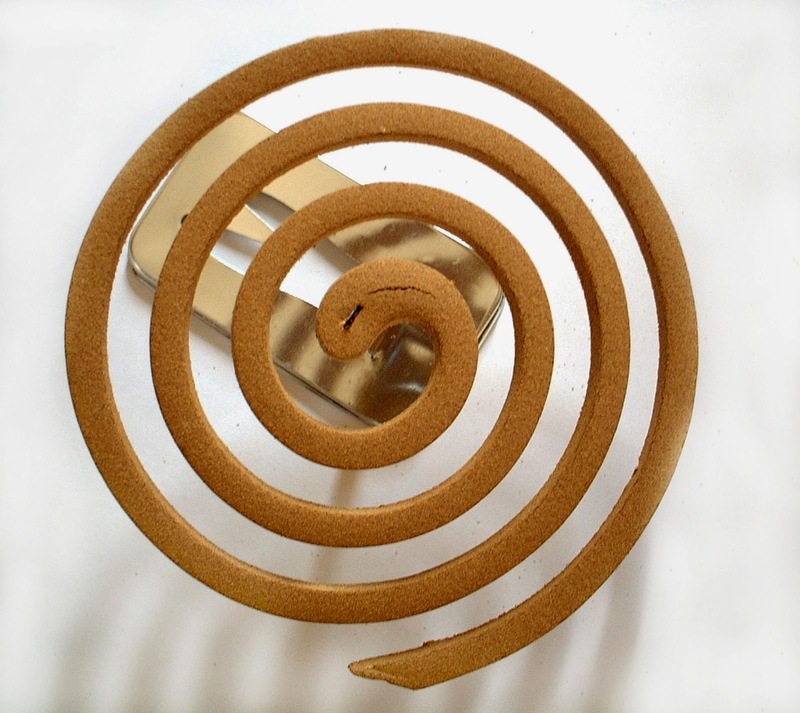 The spiral (green it was) was carefully placed on a metal base that had a spike on which connected with a hole in the inner spiral. This was placed on the night table (but on a small dish) and lit. The fragrance of the Buda was not all unpleasant. I had a scent that was a combination of medicinal and incense. When I was 21 and doing my military service in the Argentine Navy, the procedure was to use our pillows and throw them on the ceiling to kill the mosquitoes before we lit our Budas. I was a good shot with WWI vintage Mauser rifle and the .45 Ballester Molina pistol and I passed all my Navy marksman tests with flying colours. Perhaps this was because I had been adept at making (out of bicycle inner tires) slingshots and shooting them at birds; to be precise, to shoot a bird. I did and killed one when I was around 8 and I remember giving the gorrión (Wren) a burial in my garden and I swore I would never aim at a bird again. Occasionally baby wrens would fall from the trees and I would feed them with eyedroppers. They invariably died. One fall I lit a pile of leaves in the back garden. Then I remembered. I cried out to my mother that I had burned my turtle to death. My tortuguita liked to hibernate under leaves. You might by now suspect that I never hunted animals except once. It was around 1988 and I was a tenderfoot gardener in our home here in Kerrisdale. I was furious that the garden squirrels would eat Rosemary’s expensive tulip bulbs. I decided to find a final solution. This was a long barrelled replica .357 Magnum co2 pellet gun I purchased at the 3 Vets sporting goods store. I decided I was going to give the squirrels a sporting chance by aiming at them without my glasses. I would surreptitiously open the kitchen door and no matter how silent I was I could see the squirrels running for cover. But I did get one in mid air. It plummeted to the ground but it was not dead. I gave the animal its coup de grace. I was immediately propelled back to the same scene but with that wren back in Buenos Aires. When my youngest daughter found out about my vicious act she informed me she would report me to the SPCA the next time. A few months later someone broke into our house and stole our CDs and our stereo system and the gun. At that point I mourned for the CDs and the stereo but I was glad the gun was gone. In those early years of gardening I used toxic chemicals to kill our garden bugs. But little by little as restrictions for their use began to take effect I resorted to spraying my roses with the hose to get rid of aphids. I was keen at first in protecting my hostas with slug bait but then resorted to using water mixed with ammonia which killed the slugs and fertilized the plants at the same time. Now I just let the slugs eat the hostas. There are fewer slugs, of course because I don’t water at night and the increasing July/August drought in Vancouver takes care of most of them. It would seem that at this stage of my life when I am about to be 72 I am turning into a de facto/pseudo Buddhist. When I find wasps in the kitchen I carefully catch them with a cup or glass and transfer them outside. I feel guilty when I pour water down the drain to flush down those nasty silverfish that I occasionally see in the bathroom sinks. At this time of the year spiders build their webs across garden paths. I walk with a bamboo stick so that the web might be broken but the spider left alive to build another one. My guilt on killing anything alive is not only for animals and insects. I grieve for my plants when they die and I keep struggling rose bushes that others would turf into the compost bin. I live on the hope that next year they might do well. I draw the line with weeds and I viciously excise them with my secateurs. One of our beautiful miniature trees, a Robinia pseudoacacia ‘Twisty Baby’ died but from its roots it had reverted to the much bigger plain Robinia pseudoacacia. A week ago it was 7 feet high. I looked at Rosemary and we both knew that the tree could not be in our garden. It had to go. So I cut it down. I feel bad about it. The tree was fighting for its life by reverting to its origins. I had terminated that. The only way I can understand and accept death is in the death of annuals who give it all and then die but without sowing their seeds for a next-year renewal. 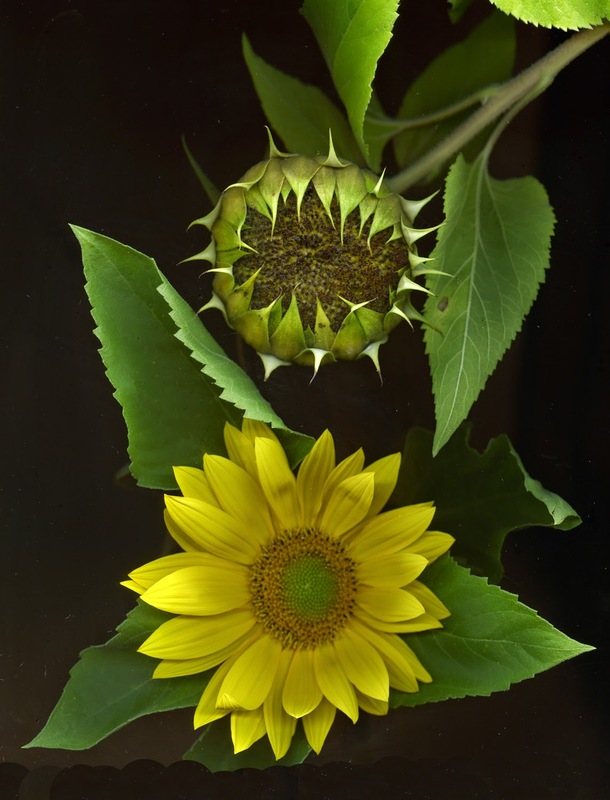 I have written about my eldest daughter’s Lillooet sunflowers before here. I want to celebrate their short-lived life by proudly showing them off in their prime and in their decline. I particularly love to do this since I recently discovered the Dutch 17th century art movement called Vanitas of which I wrote about here. 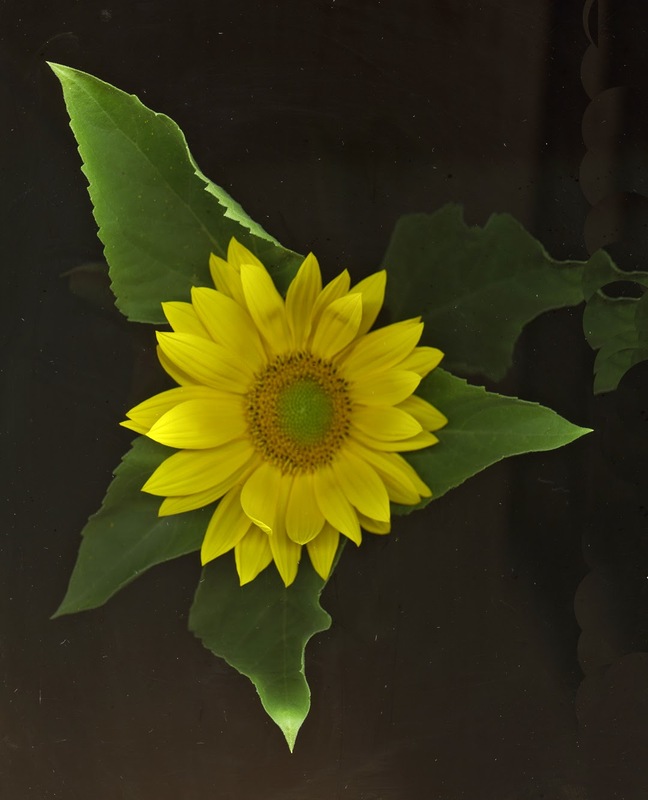 In one of the scans here you can see a flower at its best with another without the bright yellow petals and in decline. Going to seed is not a decline, or is it? 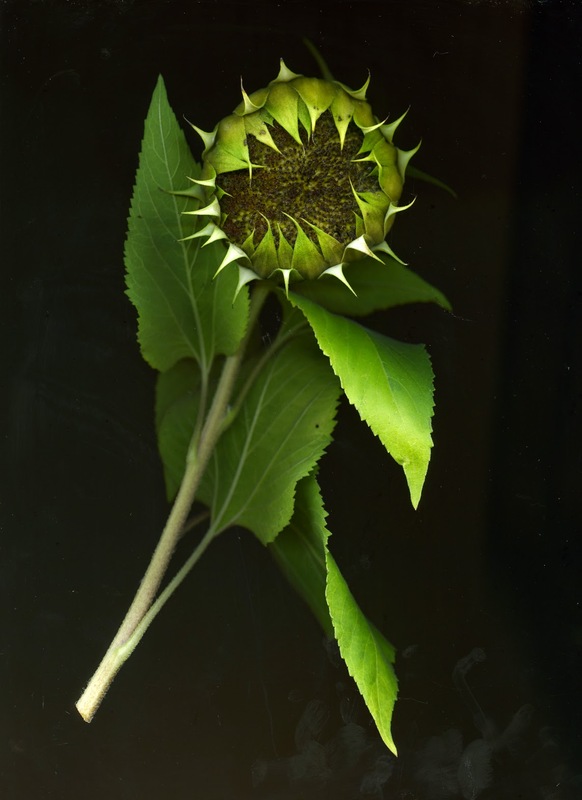 That particular scan is my 21st century version of Vanitas.